A bit too obvious? The world in gold. Gold symbolizes wealth. Gold epitomizes success. 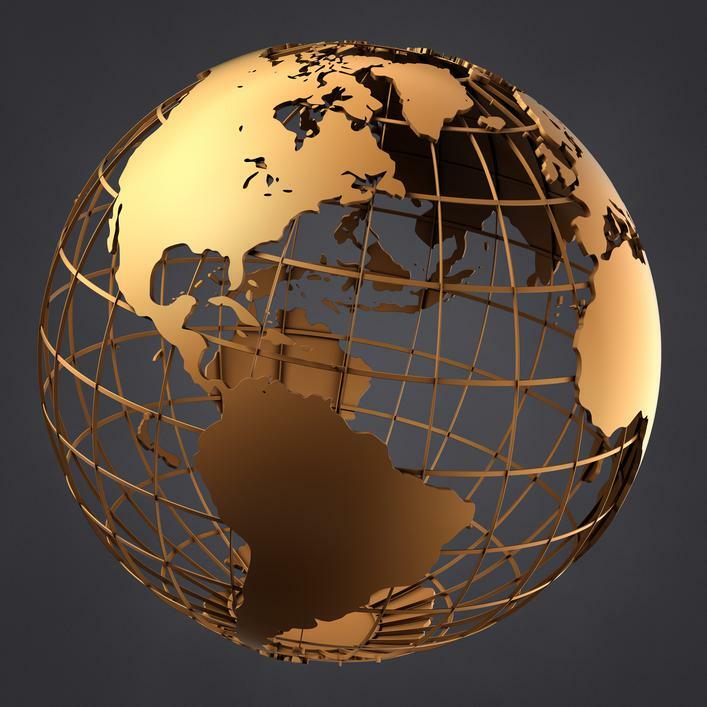 So, what better way to illustrate a successful global business than a golden globe? Translation. You cannot take your product global—truly global—until you take this first crucial step. Translation is the backbone of all global business: you cannot conduct international business without translation. And you cannot do it on your own. First time around the global block and do not know where to start? Start small. Choose your target country and select only the documentation needed to conduct international business: proposals, legal contracts, relevant letters and email. When you need to conduct a conference call, have a professional interpreter there to ensure communication is clearly understood. Choose a translation service provider you can trust, one that has a well-established business but is not so large that your project gets lost among the larger clients. You always need top-notch customer service when you enter your first foray into global business. Translations ABC prides itself on being the foundation and essential component for many businesses successfully becoming global. There is nothing more rewarding for us as a company than when clients come to us not knowing what to expect and quite anxious about the process and final results. We quickly put them at ease by itemizing what documents they need to translate proving their establishment first to the state, then the embassy and finally to the US Department of State. We make it all happen for them. Once we complete the initial translations (breaking the ice) which are just the beginning, we assist them in conducting business with their potential global market. Speaking of potential global market, we help them determine who their potential global market is at the time. We translate their marketing collateral and websites. Once this is done and they have actual buyers of their product or service, we translate their business/legal contracts and email correspondence, and conduct telephone conference calls (local and abroad). We make things happen and hold their hand every step of the way. As their revenue grows, they see results: they see the golden globe.